« Intimidating in the ring. 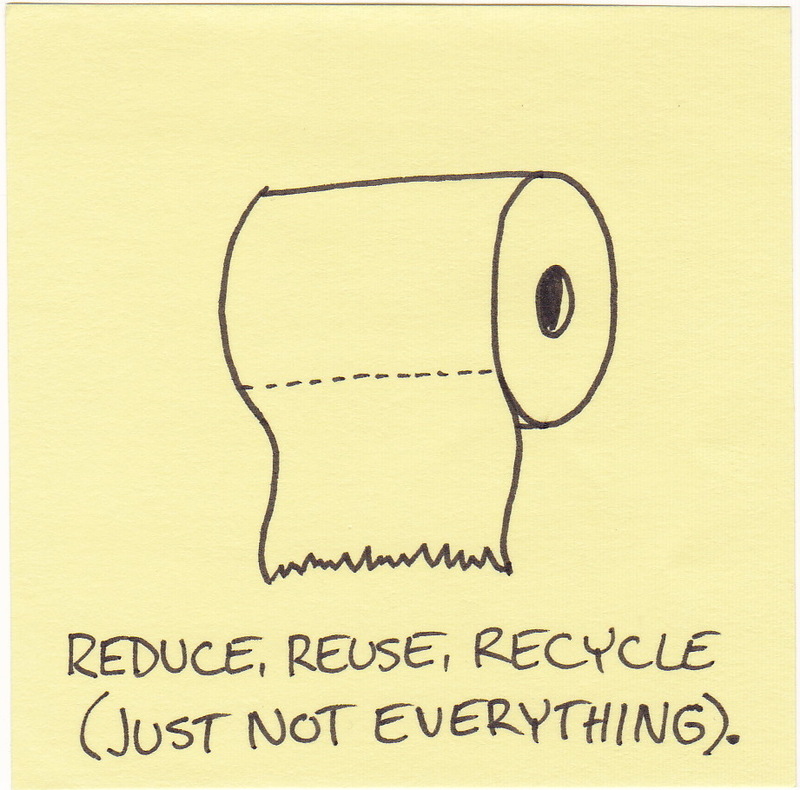 Reuse, reduce, recycle (just not everything). I saw recycled toilet paper in the store. The label said it was made with “80% post consumer content.” Rationally, I know it was recycled from other types of paper. However, I can’t seem to shake the irrational fear it may have been toilet paper before.